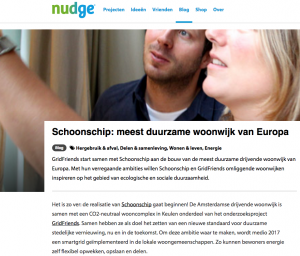 The community of Nudge consists of more than 50.000 ‘Nudgers’ and realises bottom up initiatives that support a positive and durable change in our society. We are pleased that they put the spotlight on our initiative on their site! Click here for the full article, in Dutch (8th of november 2016).